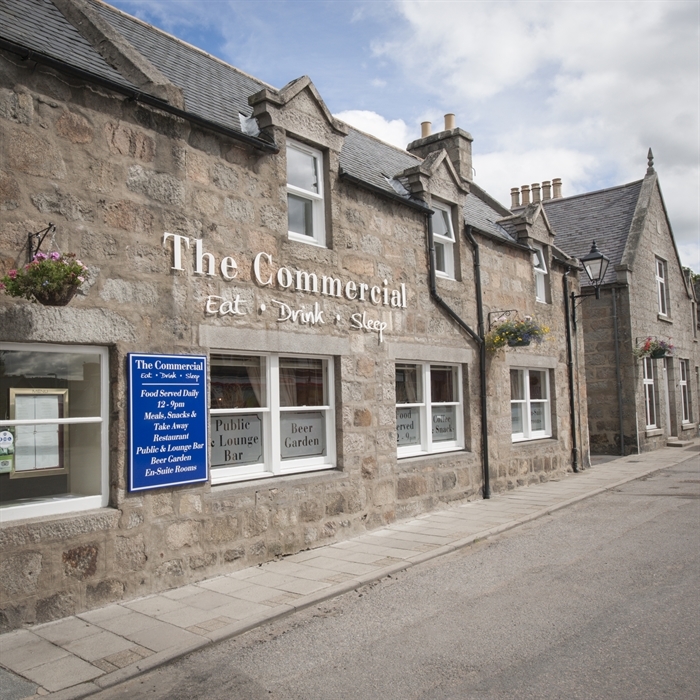 Our hotels location is the focal point for the local community in the beautiful Grampian Highlands this blends perfectly with providing an excellent base for visitors. Nestling between the rivers Dee and Don in the stunning 'Howe o' Cromar' on the edge of the Grampian Mountains and the Cairngorms National Park, Tarland offers a superb location for a relaxing break on Royal Deeside surrounded by some of the finest scenery Scotland has to offer. A family run hotel since 2004, during which time the hotel has received extensive refurbishment, The Commercial is popular locally and well regarded for the quality of our food and the friendly and relaxed atmosphere. Your dining requirements are amply catered for in our cosy lounge bar or elegant candlelit Cromar restaurant with adjoining walled garden. Meals and snacks are served all day and room service is also available. 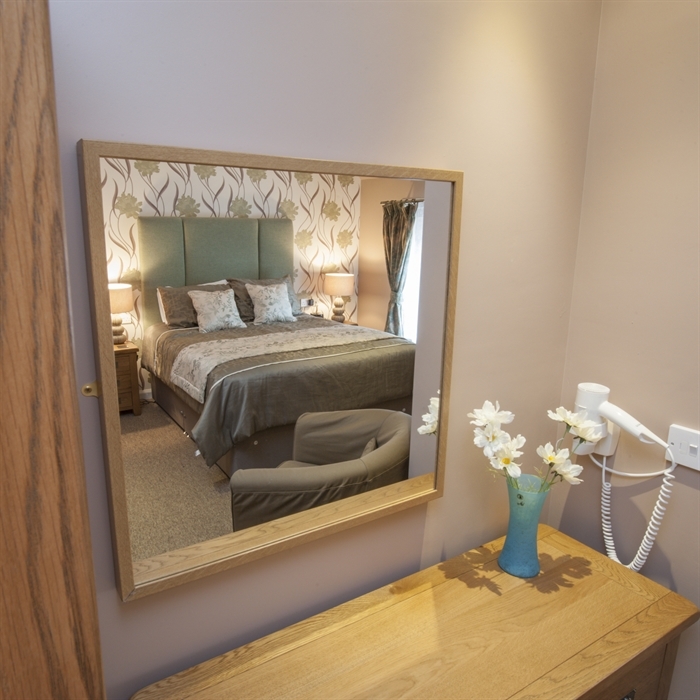 Our 6 de-luxe en-suite and 3 superior en-suite rooms offer superbly appointed accommodation with both bath and shower. 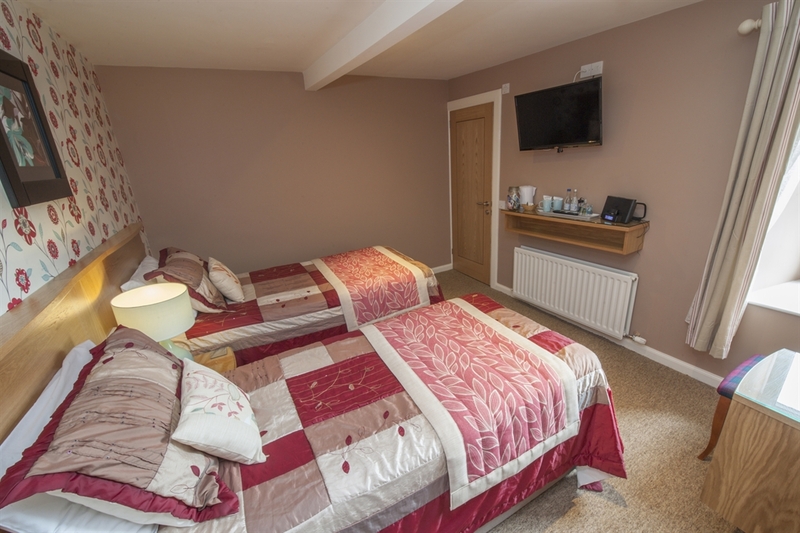 All rooms have king size beds, flat screen TV with Freeview and DVD, ipod clock radios, hairdryer, iron and ironing board,hot water bottles, tea and coffee making facilities, shortbread, Deeside mineral water and bathrobes(superior rooms only). Free broadband WIFI connectivity is available throughout the hotel. The cosy lounge bar is tastefully decorated and is perfect for a relaxing meal or why not wind down after the day's activities with afternoon tea in the courtyard garden. 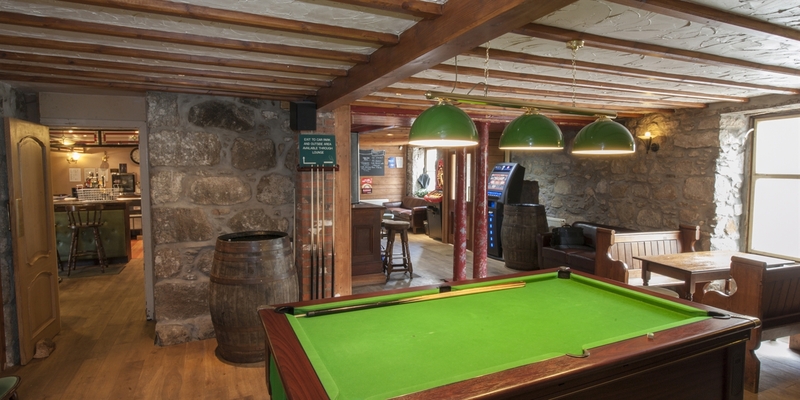 Alternatively, sample a beer or guest ale in the informal public bar with it's original fireplace and granite walls - a great place to enjoy a friendly game of pool or darts with the locals. Private parties, functions and special occasions are all catered for with all your requirements carefully attended to by Bev and her dedicated team. 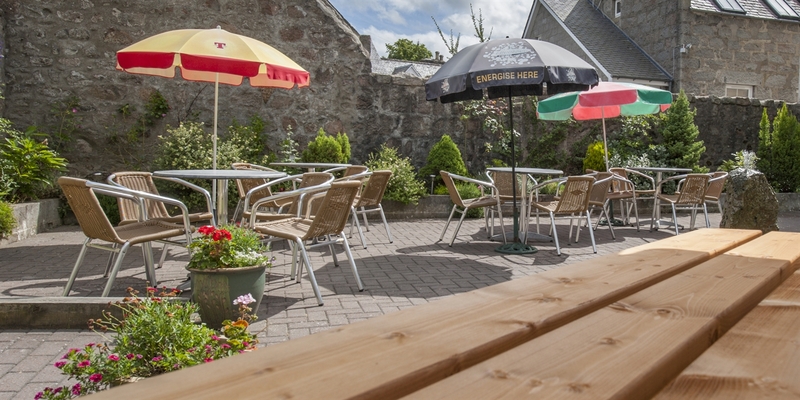 A wide range of outdoor sports and activities are available locally and with local live traditional music also available, great beer & malts, good craic and a short walk to a comfortable room, followed by our legendary ghillies breakfast- what more could you need? 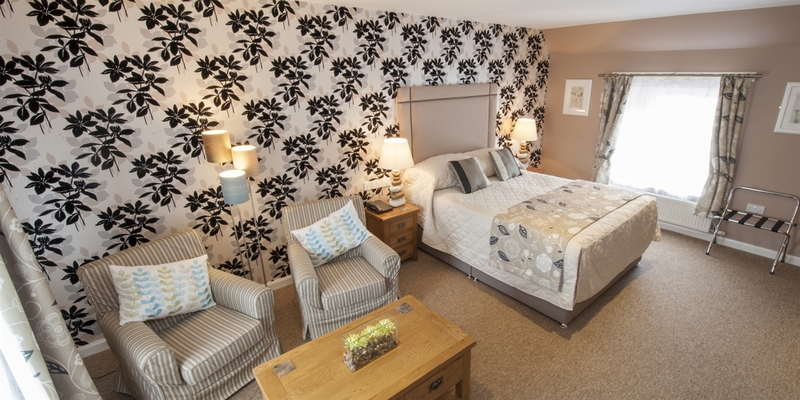 STAY 3 NIGHTS MONDAY - THURSDAY FOR 2 PERSONS IN A STANDARD DOUBLE/TWIN ROOM EN-SUITE INC BREAKFAST. 3 NIGHTS FOR THE PRICE OF 2. ONLY £178.OO. UPGRADE TO A SUPERIOR ROOM FOR AN EXTRA £20.00. This offer excludes July and August. UPGRADE TO A SUPERIOR ROOM FOR £20.00.